So it only seems like 5 minutes since my last report. Well I suppose it kinda is. We're into double figures to go now so I figured I'd start a pre-trip as I loved adding to my last one. 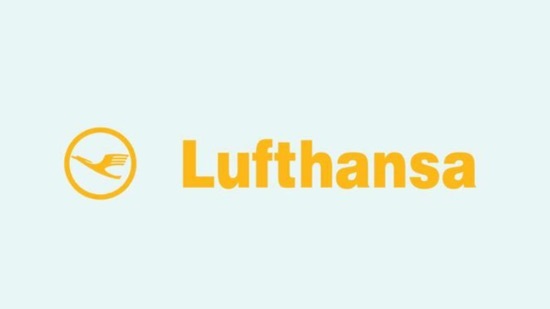 We already had bits and pieces booked prior to our Easter trip, our flights had been bought back in September 2017, initially we found a good price with Lufthansa 17th-31st August flying via Frankfurt for 2 adults 1 child costing £991, I reserved them for £27 until DH confirmed holidays but couldn't complete the purchase online, I rang them and completed the purchase, or so I thought! They rang me back a few minutes later telling me they had to cancel the purchase as it could only be completed online, if I wanted to do it over the phone it had to be a new booking and the price had increase by a few hundred pounds  I politely told them what they could do with their flights and set about finding some alternative ones. Fortunately I came across some flights on BYOjet these were BA outbound, Iberia inbound for £956, the flight times were better and they cost less so I quickly forgot about the Lufthansa disappointment. 1st September 16.55pm Mia-Mad, 2nd Sept 8.45am Mad-Man. We flew into and out of Miami at easter (on the same flights, except we flew down to Heathrow the night before) and we thought it was definitely worth the savings, we didn't feel it ate into our holiday at all and we quite enjoyed seeing other parts of Florida. 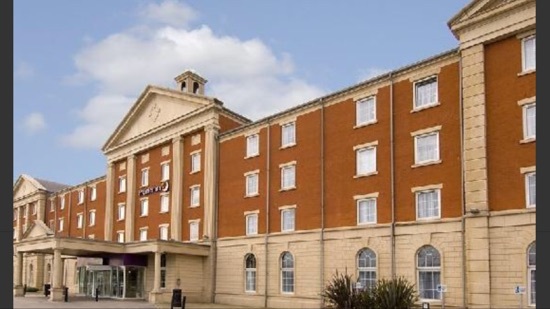 The night before our flight we will stay near Manchester airport, our usual premier inn at runger Lane is £67, which for somewhere to sleep for a few hours seems excessive so we're contemplating staying further afield perhaps in Altrincham or at the Trafford centre. Car parking - I plan to use VIP parking again, they meet you right outside the terminal in the drop off zone and take your car and then you ring them when you have collected your bags when you return and they meet you in the same place. Fantastic service! After 3 trips of using DVC points for 2 night stays it was finally time for a full DVC trip! Our home resorts are bay lake tower and Saratoga springs. I initially booked a lake view studio for 20th Aug -1st sept (12 nights) at bay lake tower. This gave us 3 nights before this to fill and we were thinking of spending some time at the beach on the way to Orlando. 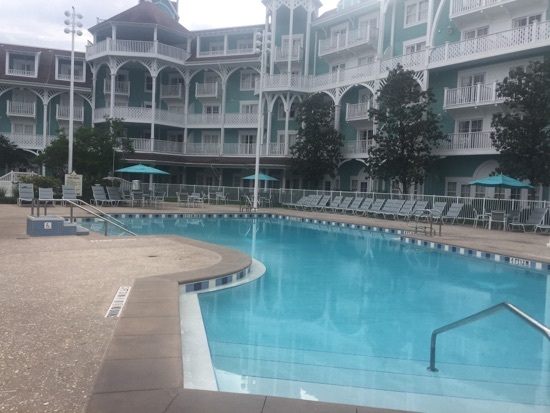 After our 7 month mark I used some of our Saratoga springs points to books the 19th August at old key west, as this was a separate booking we decided we would add the deluxe dining plan to this one night stay costing $274 giving us 3 dining credits each, 2 snacks and a refillable mug. We would be buying the refillable mugs anyway which would cost about $60 so the dining plan looks like a no brainer. 20th August - breakfast at chef Mickey's - I think I willl change this as we did it at easter and thought it was pretty average, but Dd loves it. 20th August - Dinner at California grill - for this view  Absolutely love it here! After returning from our Easter trip we had a few ideas/changes for summer. We didn't want to do the beach any more, if the weather wasn't favourable it could end up being a washout, we'll wait until Dd is abit older as DH wants to do water sport stuff while there. We want to stay at the Miami airport hotel when we land in Miami (17th August), it was fab not stressing about getting our car and getting away from the airport straight after landing. Currently can get this for £110 for the night. 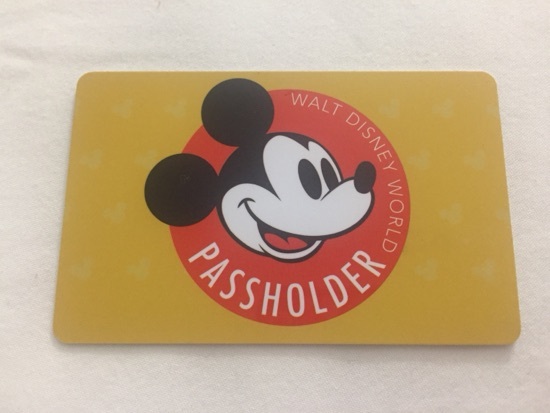 This means we'd have one night to fill (18th) at the moment the plan is to find a DVC resort with availability 18th&19th and cancel the one night old key west reservation and do 2 nights elsewhere or add an extra night here with the deluxe dining plan. I managed to replace our one night in the 19th with boulder ridge and a few days later the 18th became available. Very excited to be staying at wilderness lodge - the location of our 2 night stay is being kept from DH and DD as a surprise. 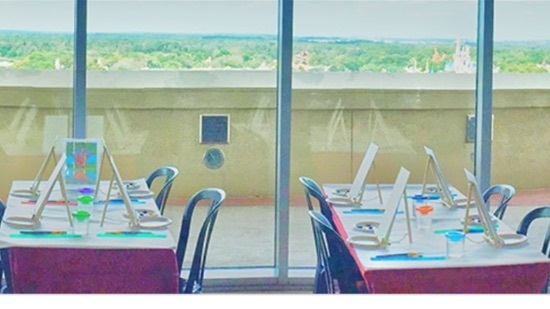 I would like to do the painting with a view event held on Tuesday mornings or Thursday afternoons in the top of the world lounge on the top floor of bay lake tower, this is $50 and lasts 2 hours. You paint a souvenir canvas and there's an alcoholic beverage/snacks included. We've each got our platinum plus annual passes so tickets for Disney are sorted. Thurs 16th - drive down to Manchester and stay over night. 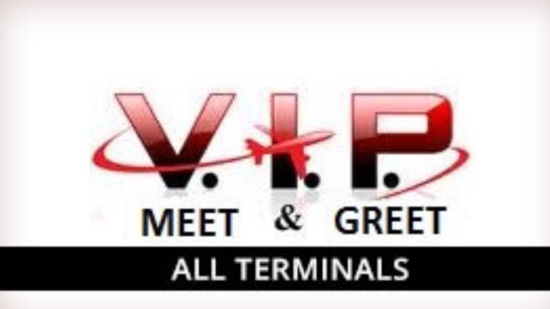 Fri 17th - arrive at airport for check in about 7.45am using VIP meet and greet for parking. Grab some breakfast in the airport. Fly to Heathrow and transfer between T5-T3 and get some lunch, I'd like to try yo sushi if I can convince DH. 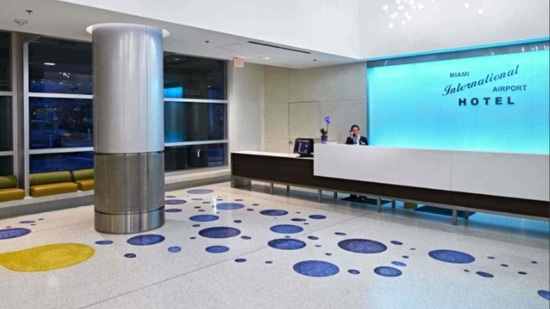 Fly to Miami and check into the Miami airport hotel for the night. I'm definitely going to pack some snacks in our cases to save being ripped off in the newsagents this time. 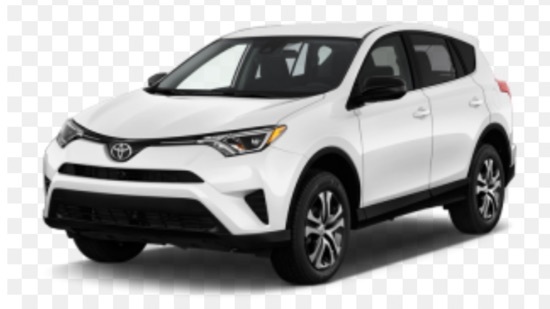 Sat 18th - Wake up at crack of dawn and get the Miami mover over to the car rental centre, collect our car and drive to Orlando  If it's anything like Easter we'll hopefully arrive by 9am. 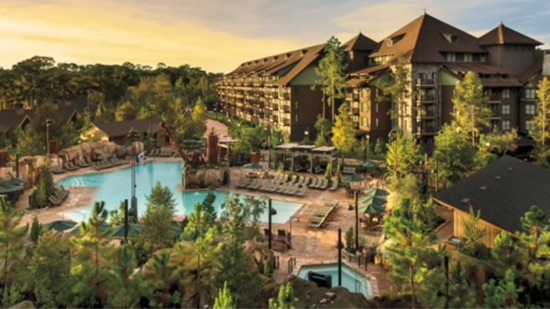 Sooooooo we're currently booked to stay at boulder ridge at wilderness lodge. 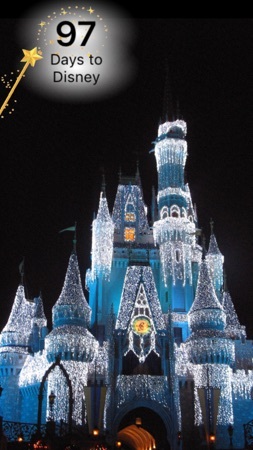 So we'll head there and check in and catch the launch over to magic kingdom before coming back for some pool time. If we're on the deluxe dining plan we'll be having breakfast/lunch and dinner today. Sun 19th - We'll spend today at the resort using the pool and pop over to the contemporary for brunch if I can get a reservation. Tonight will be Epcot and we'll have dinner nearby. 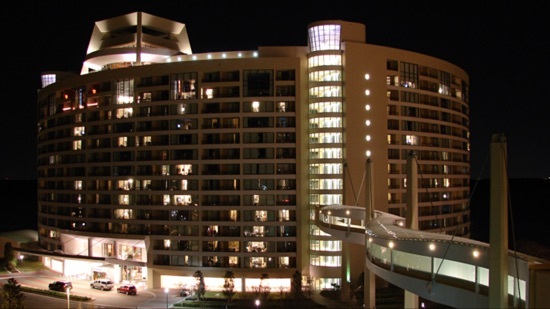 Mon 20th - We'll head over to bay lake tower and check in, I would like to try either kona cafe, wave or grand Floridian cafe for lunch, when we've got our room allocated we will unpack for the next 12 nights then Get ready for dinner at the California grill. Tues 21st - animal kingdom day today, hope to get fastpasses for flight of passage, Kali river rapids and Kilimanjaro safari. We'll be making a trip to rafikis planet watch and lunch will probably be flame tree bbq. Wed 22nd- hollywood studios. Today we'll be checking out the new toy story land! Going to hopefully get fastpass for the new slinky dog ride, tower of terror and star tours. We'll perhaps head to a water park aswell today. Thursday 23rd -Magic kingdom today and spend some time at the resort - I think I'll do the painting with a view at the top of the world lounge this afternoon. Friday 24th August - potentially our 4 park challenge day. This evening at the resort and or drinks/food at tambu lounge/top of the world lounge. Saturday 25th - shopping today if we fancy it, usually head to the Florida mall, have lunch in the food court. Tonight will probably be Epcot and a reservation at via Napoli for the massive pizza to share and a bottle of wine. Sunday 26th - hollywood studios/animal kingdom/magic kingdom. Monday 27th - water park first thing and then leave when it gets too hot. Lunch at downtown Disney in thinking of homecoming as we enjoyed it at easter except for the amount of food  and pick up a couple of sprinkles cupcakes. Tuesday 28th -lazy morning and some pool time, then get ready for Mickey's not so scary Halloween party tonight which is on till midnight. Wednesday 29th - lie in this morning I imagine, then off to Epcot. 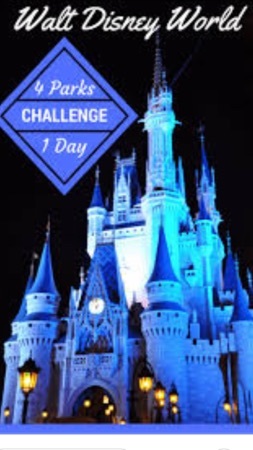 Thursday 30th - this will probably be a full day in magic kingdom staying to watch the fireworks. 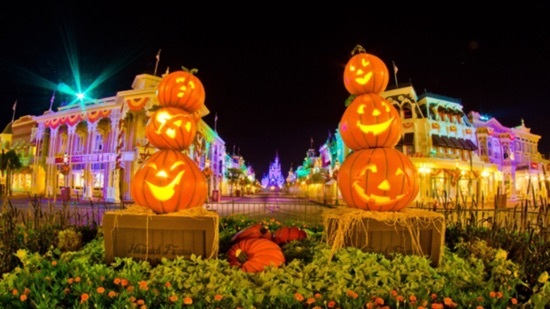 Friday 31st - today's a strange one, with it being a Halloween party tonight we won't be able to spend our final evening in magic kingdom so it'll probably be Epcot instead checking out food and wine festival stuff. we'll need to get our packing done too. Saturday 1st - get up and make the journey to Miami airport, drop the car off and have some lunch in the airport before heading through security. 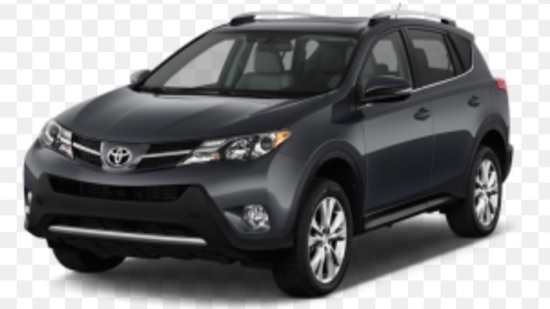 Our hire care for 14 days 18/7-1/9 was £375 so we were happy with that. 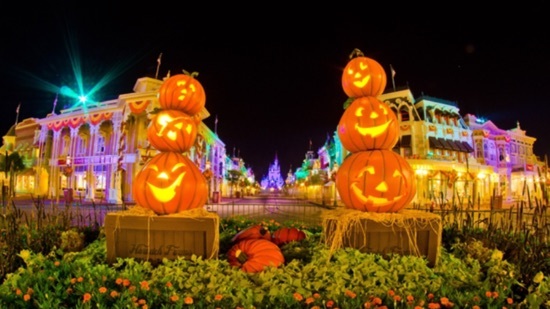 I've also booked out tickets for Mickey not so scary Halloween party for the 28th August. These were $74 for adults and $69 for children with DVC discount. So excited for our first even Halloween party! Just got out outfits to sort. I also booked painting with a view at the top of the world lounge for 23rd August, this is at the top of the world lounge and I'm really looking forward to it. Our fast pass days are approaching this week. We have hook our first 3 days on Tuesday and the rest one Wednesday. We've have various tweaks of doing plans since the last update. 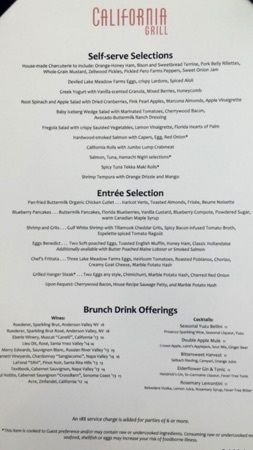 We're currently one chef Mickey's breakfast/lunch on 18th, wave dinner on he 18th, Cali grill brunch 19th, dinner is yet to be filled, lunch on the 20th is still vacant and dinner at California grill. 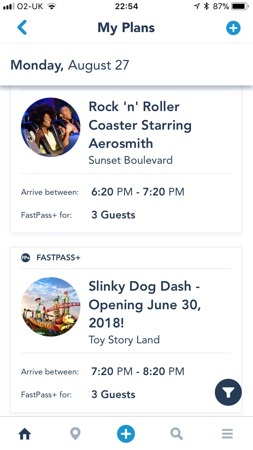 Yesterday was Fastpass day. I was pleasantly surprised I was able to book fast passes for the entire 14 days of our stay even though we are doing a split stay at two resorts. I had no problems getting the new toy story rides for the days/times we hoped for and seven dwarfs mine train/frozen/flight of passage had plenty of availability throughout our stay. Update - 44 days to go! My waitlist for Beach club came through! After an amazing couple of nights at beach club in April we said we'd love to come back again but knew it was unlikely. I was happy with our reservation at boulder ridge for our first two nights but stuck in a cheeky waitlist for beach club on the off chance. Well it only went and filled! DH and DD still have no idea where we'll be for the first two nights before bay lake tower. 18th Aug : breakfast at chef Mickey's after checking in at the beach club, dinner at chef de France after an afternoon in the pool. 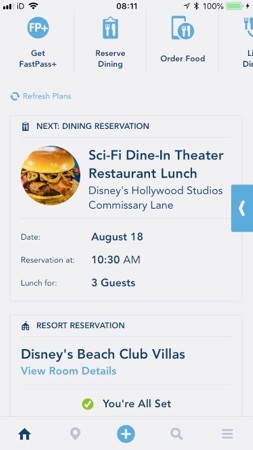 19th Aug : brunch at California grill, dinner at sci fi dine in. 20th Aug : lunch at skipper canteen after checking in at bay lake tower and dinner at California grill. 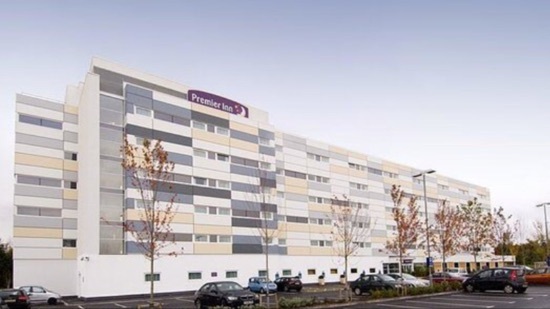 We've booked the premier inn south on runger Lane at Manchester airport for the night before our flight. This cost £59. Does that mean it's only 24 days to go?! Parking has been booked £110 for 17 days parking meet and greet. More than I would have liked to pay, kept putting off sorting it out and the price went up from around £80 which is frustrating, but lesson learned! 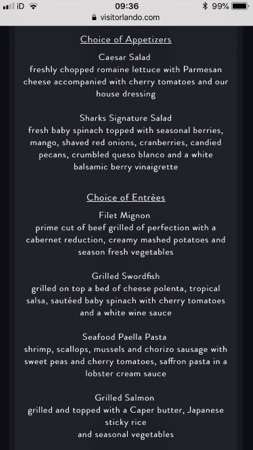 Thanks to some insightful info on the DIBB I have booked Sharks Underwater Grill at SeaWorld for 3.45pm on 26th August as part of the magical dining month. The 3 course menu is $35 each (DD is able to eat from the kids menu), and after the meal you are able to stay in the park until closing which is 9.30pm that night. We're hoping to do a few of the rides and see the sea lion show and dolphins. We haven't been to SeaWorld since 2010 so this will be DDs first time. In just under a couple of hours our countdown will hit single digits! I love this part of the waiting, when it's so close! Packing has commenced, Disney deluxe dining plan has been added to our beach club part of our stay at a cost of $545 for 2 adults and 1 child. I've been looking at shuffling around our reservations and have gone with lunch at Sci Fi on our first day. The plan is to drive up from Miami and check in at the beach club villas and then walk over to Hollywood studios for an early lunch. 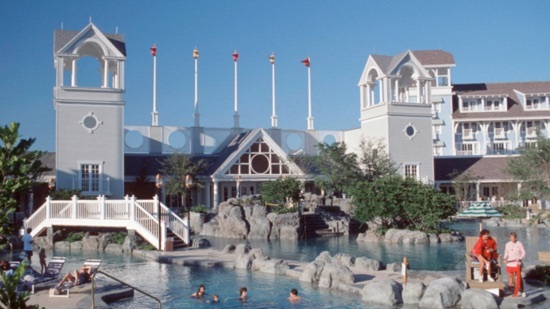 Come back and use stormalong bay and have a snack mid afternoon from beaches and cream take away window. Dinner that evening is at Chef's du France and we then have fast passes booked in Epcot, we will probably pick up something using snacks for breakfast the next morning, knowing my ways this will probably be cake of some sort. Next morning we will have whatever breakfast items we have picked up in the room and then I plan to head to the villas quiet pool for a while before our 12.25pm California brunch reservation. I am still hoping to bring this forward but had no luck so far. After brunch we will spend some time at the main pool before heading out for a later dinner. At the moment we're undecided whether to eat at trattoria al Forno at the boardwalk or tutto Italia in Epcot. There's still plenty of later reservations at both so keeping an eye on these while we decide. Afterwards we'll spend some time on the boardwalk watching the entertainers. Then it will be time to leave beach club and head over to bay lake tower to check in for the next 12 nights. 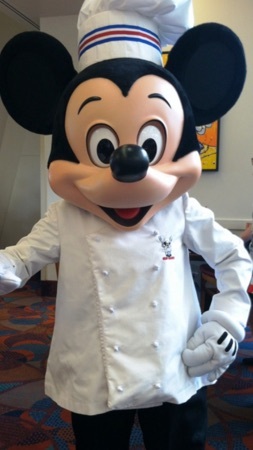 After checking in we've got a reservation at 11.30am for chef mickeys brunch, DD absolutely loves this meal so it's a must do in that sense. After our meal we will see whether our room is ready and if not we have fast passes for magic kingdom. We'll head back when our room is ready, sort our cases and get ready for our 5.50pm reservation at California grill. 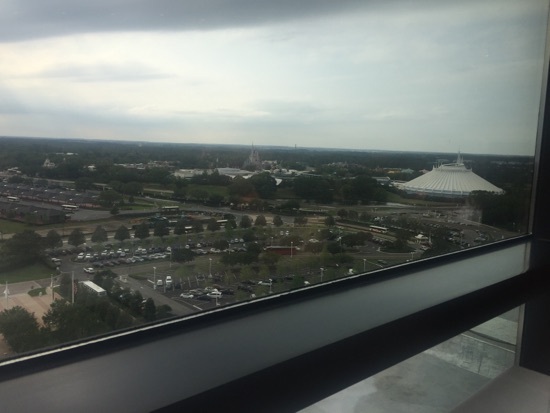 After our meal we may return to MK or watch happily ever after from the top of the world lounge. After this our plans are a little more freeform, much easier to go with the flow and make changes when there's fewer reservations to stick to. 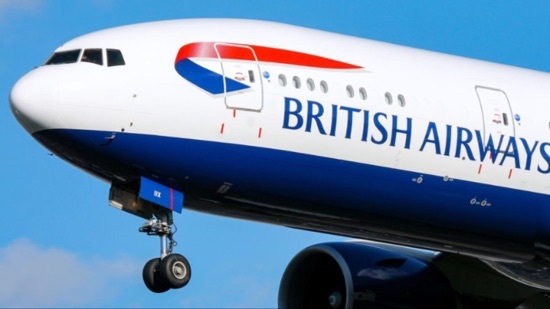 BA allocated our seats free of charge yesterday as we are travelling with a child. 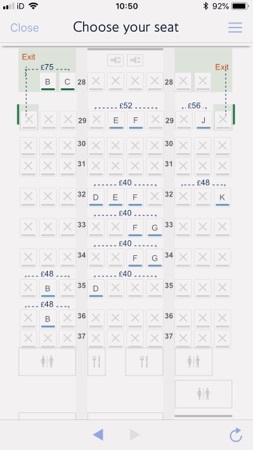 Didn't get quite as lucky with the allocation as we did at Easter but can't complain as we're sat together without having to pay for seat reservations. We've been given 46ABC for the Heathrow-Miami leg. Tomorrow is pre travel day, the start of our holiday and start of our live trip/mostly dining report. Packing is almost complete - just the essentials we need in the next 28 hours to go in the cases. 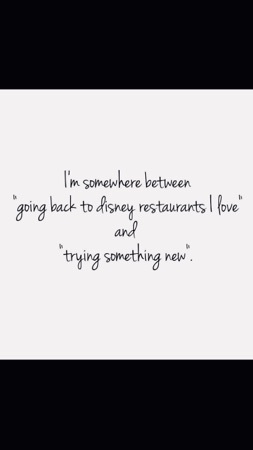 This picture sums up where I'm at at the moment, second guessing our dining reservations, should we be trying more that 2 new restaurants or do we risk being disappointed and should we stick with what we know?! Arghh! Dollars have been bought at a truly awful rate, we'll use the Halifax clarity card quite abit as I didn't buy as many dollars as usual. Alamo skip the counter needs done today and bar code printed, then online check-in tomorrow with BA. The plan looks great, I’d love to stay using DVC points, it seems so flexible. Can you point me in the direction of how to book the Sharks Grill, I’ve tried google. If you send them an email to this address requesting a specific date/time (I included a couple of options) and state how many the reservation is for and that it’s for the magical dining menu, they will get back to you either confirming or letting you know what the closest availability is. Free parking is included with the reservation too.